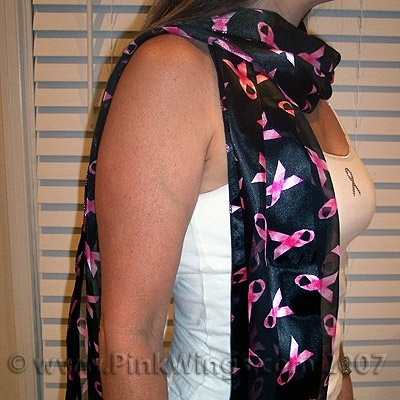 This beautiful scarf is perfect for showing your support for Breast Cancer Awareness. Wear it as a belt, sash, scarf (in your hair or around your neck). It comes in 2 different background colors: Black or Pink. Order 1 of each! The scarf is 100% Polyester and has alternating stripes of sheer and solid.